Many readers have sent me questions asking for advice on how to get started on home-decorating projects. Here is a six-step program for establishing your decorating game plan. 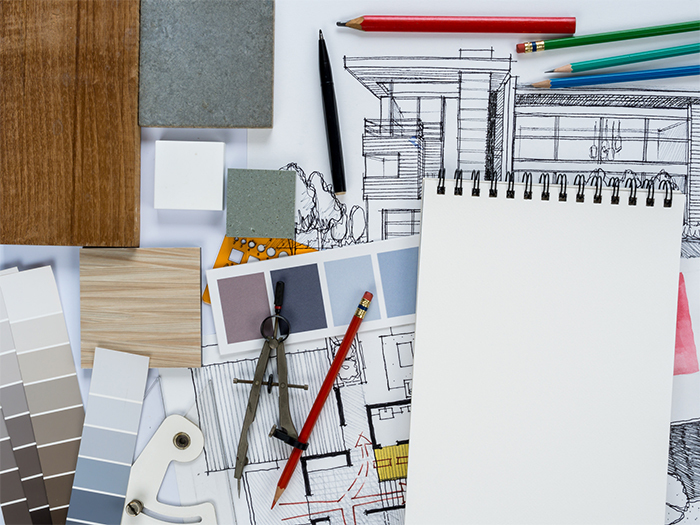 It is the same basic format that many interior designers have used with clients to establish priorities. Follow these steps and you should be well prepared to get started with confidence and direction. They will give you a better idea of your decorating needs, whether you continue on your own and use retail resources or work with a professional designer. STEP 1. Purchase a loose-leaf notebook, several folders with internal storage pockets, index cards, colored construction paper, ¼-inch graph paper, ruler, rubber cement-type glue and furniture templates (available in most art supply stores). STEP 2. Gather as many decorating and design magazines and newspaper articles as possible and call a family meeting. Give out index cards to each member. 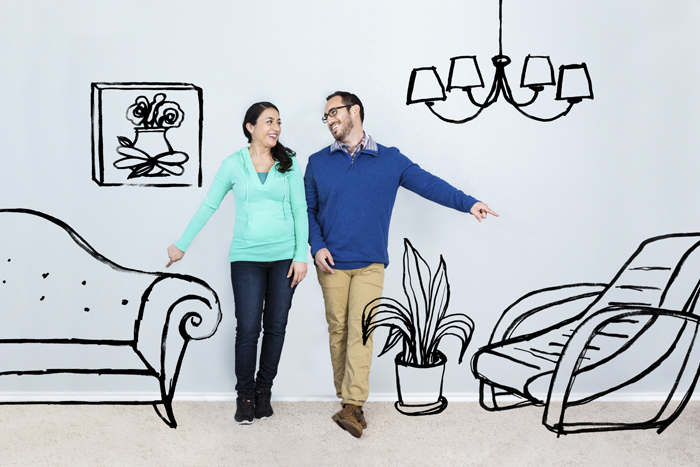 Distribute the design literature, and make sure there are plenty of photographs of room and furniture styles. Tell each family member that you want input on special needs, such as storage requirements, seating preferences, style and color choices and any other pertinent information that can help you make decisions. It is often difficult for people to be specific about their likes and dislikes when it comes to decorating. The terminology is often unfamiliar, and perhaps they have never really thought consciously about these things. Encourage the family members to flip through the pages of the magazines and tear out photos of the things they like. Ask that they circle appealing items in the room photographs and select color schemes that might be pleasing. If they have difficulty finding a color scheme, a favorite tie or scarf will often reveal valuable information about the person’s preferences for pattern and color. Make plenty of notes and put them and the favored room pictures into individually marked room file folders. If a room is to be used by more than one member of the family – for instance, a shared bathroom or the family room – then encourage them to compile a file composed of two lists: a “needs” list and “wish” list. Explain that the latter will be contingent of feasibility and priorities. For the sake of family peace, make sure all understand that their input is in no way a promise. This information will be vital as your project evolves. STEP 3. Make an inventory of all items that you or other family members wish to keep and need to work around. If reupholstering, refinishing or any other updating is required to integrate the piece into the newly decorated room, make some inquiries with local workshops for approximate prices. List these preliminary estimates on labeled file cards, placing each item on a card designated for a particular room. All dimensions need to be noted on the inventory cards for future space planning. If an item is in good condition and you plan to use it “as is,” then you will also need a color history card for future matching of this item with new purchases and decorative finishes. If you happen to have a small leftover piece of the particular fabric or wall covering, hold on to it; if not, you can re-create the color scheme of the fabric or rug pattern by matching the colors to paint chips, yarns or heavy threads. After selecting several variations of the color combinations at the paint or yarn store, making sure you double-check your selection in the lighting conditions at home, since colors will change dramatically between the store and home. Attach your color history of each item to the appropriately labeled room card. All this troublesome matching will be well worth the effort later when you are trying to match new purchases with your antique rug or 2-year-old sofa. STEP 4: Using a steel tape measure (not a yardstick or clothing tape), carefully measure each room involved in the project. Note each jog in the room — windows, doors, air vents, radiators, fireplaces and any other information that will enable you to achieve an accurate floor plan. Transfer these measurements to your graph paper, allowing each box you represent one square foot. While this is not as accurate as a scaled drawing done with a scaled ruler, it will be adequate for preliminary furniture layouts. If custom buildings or architectural remodeling will be required in your project, then actual scaled plans should be drawn up by a professional, since every inch may be crucial. Using colored construction paper and ¼ inch scale furniture templates, cut out various shapes of furniture representing existing and/or desired pieces. Label pieces with size, name and store and place in an envelope inside the appropriate folder. STEP 6: It is time to draw up a preliminary plan and budget. Use a separate sheet of graph paper for each room to be decorated. Draw the room according to you notations in Step 4. Try several different furniture arrangements, which will include all the necessary functional requirements as well as additional pieces. Use the cutouts you have prepared. Don’t forget to leave plenty of room for traffic (a minimum of 30-inch passage spaces, 14-inch to 18-inch knee room in front of coffee tables, and don’t block doors, windows or air vents). 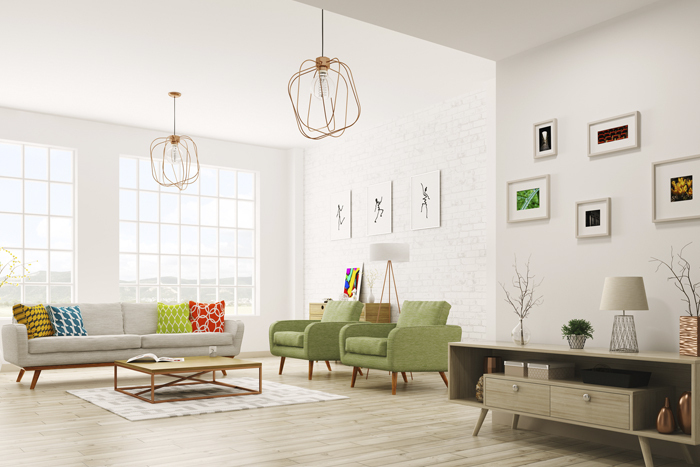 While these layouts may lack the professional finesse you may be looking for, they will provide you with a good idea of what might fit in the room and a list of items required. Now you can prepare a preliminary cost sheet based on the items you have put into the floor plan. When preparing the cost sheet, make sure you list all the items for which you have gotten cost estimates. 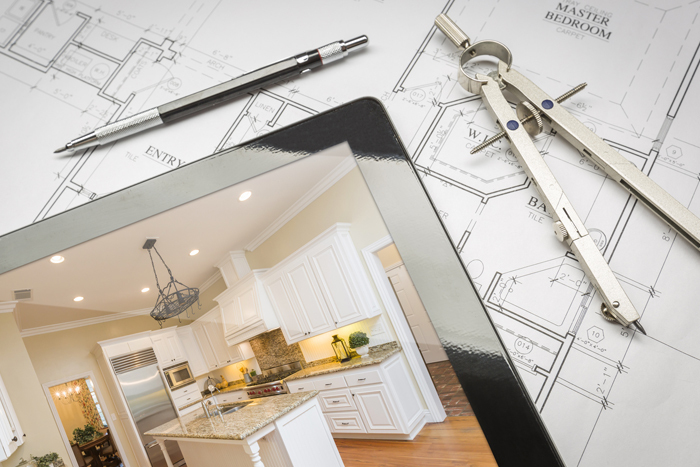 These could include recycled items, labor, and material costs, remolding estimates from a general contractor, architect or designer, decorative-finishings estimates, including labor, and actual new purchases desired. All these items will constitute, at best, only a preliminary cost guide, but they should be more than adequate to let you know if each room is within your financial means. If you are over budget, you must go back to the different areas of the budget and make some cuts.